Ross, 67, receives her first Grammy - a lifetime achievement award for her contribution to the recording industry. Campbell will also be celebrated along with George Jones, Gil Scott-Heron, the Memphis Horns, the Allman Brothers and Brazil's Antonio Carlos Jobim. The 54th Grammy awards will take place in Los Angeles on 12 February. 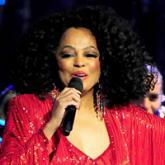 Ross has received a number of Grammy nominations over the course of her 50-year career but has never won the award. Her early success with the Supremes was later eclipsed by a solo career that saw her have 18 number one records in the US. Jobs, who died in October, is among those receiving one of the Trustees Awards that recognise "outstanding contributions to the industry in a non-performing capacity". The iPod creator is honoured for his part in devising "products and technology that transformed the way we consume music, TV, movies, and books," the National Academy of Recording Arts and Sciences said. Jobim, who died in 1994 aged 67, is considered one of Brazil's most influential musicians and helped to draw international attention to the bossa nova. Other award recipients include musician and arranger Dave Bartholomew and recording engineer Rudy Van Gelder. "This year's honourees offer a variety of brilliance, contributions and lasting impressions on our culture," said Neil Portnow, president of the Recording Academy. "It is an honour to recognise such a diverse group of individuals whose talents and achievements have had an indelible impact on our industry."